The Futures segment of National Commodity and Derivatives Exchange (NCDEX) has seen encouraging growth in August, 2015 with 18.11% rise of volume y-o-y. The average daily trade value (ADTV) registered for the month of August 2015 was Rs.4150.02 crore. The Open interest stood at Rs. 7430.57 crore, showing an increase of 7.66% y-o-y. The Exchange has also registered total volume of 24433 MT in Forwards segment since inception, with volume of over 5300 MT in August, 2015. 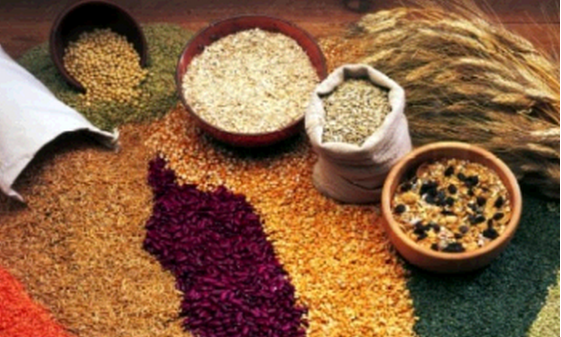 The Agri futures segment registered monthly total volume of Rs.85181.5 crore. The top three commodities were Chana, Refined Soya Oil and Guar Seed with total traded volume of Rs.19334.01 crore, Rs.10672.34 crore and Rs.10265.4 crore respectively. The Exchange has facilitated smooth delivery of 121,089 MT goods in the August expiry. Mr. Samir Shah, MD & CEO, NCDEX said "Increasing open interest indicates market acceptance of NCDEX platform and new initiatives taken by the Exchange. Our mission is to provide products and services which add economic value to participants and our endeavour is to provide an inclusive solution for the entire value chain". The Forwards segment on National Commodity and Derivatives Exchange (NCDEX) has also been growing steadily. The Forwards segment has registered volume of 24433 MT with traded value of Rs. 10110.50 lakh and delivered 23813 MT of commodities on the Exchange platform since its launch in September 2014. In August-2015 alone, over 5300 MT commodities were traded in the Forwards segment. The Exchange has registered 49 members in the Forwards segment while 54 more members are in registration process.